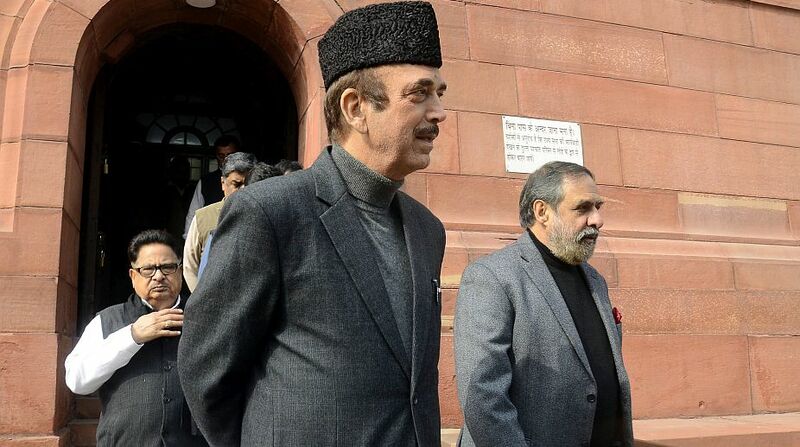 Accusing Rajya Sabha chairman of being biased, the Opposition led by Congress on Tuesday boycotted the upper house proceedings for the day alleging that their voices were being “muzzled”. “It seems that our voice is being muzzled,” he added. Fellow Congress leader Anand Sharma said that they will write to the RS chairman M Venkaiah Naidu about the issue. “This is un-democratic… We’ll give in writing to the RS chairman that representatives who come from various places of the country are not being allowed to speak in the house,” he said. Samajwadi Party (SP) leader Naresh Agrawal too said that the opposition was not being heard in the upper house. “We don’t want to say anything about the chair but our voices should not be muzzled… Chairman should not work in such a manner,” he said. Earlier in the day, the Rajya Sabha was adjourned as Trinamool Congress (TMC) members created a ruckus after Naidu rejected their adjournment notice over alleged interference of West Bengal Governor Keshari Nath Tripathi in state work. Soon after the House met, Naidu completed important legislative business and rejected several notices given by the TMC, TDP and Akali Dal. A total of 17 opposition parties had last week decided to work together to corner the Modi government on national issues, de-linking the unity in Parliament from their differences at the state-level.